Kathy Weiss is a lifelong equestrian. At age 5, she began riding horses every Summer at Rimrock Ranch, Cody, Wyoming. Living in Chicago the rest of the year- Kathy rode English at nearby Stables and with her lifelong neighbor and friend, Bruce Duchessois. Upon graduating from the University of Denver with a BFA, Kathy’s passion for horses took her to Roaring Fork Valley where she got a job at St. Finnbar Farm ( which is now Aspen Valley Polo Club), working for Trudi Peet. From there, Kathy partnered with Manuel Tejeda. Together they started and operated Rock N Pines Stables in West Glenwood Springs. They bought, trained and sold many horses to Valley locals and out of towners, all eager to ride Hunter/Jumpers. Kathy taught lessons, organized horse shows- which became the start of Colorado West Hunter Jumper Association, and started Easy Rider Tack Store (now known as Crystal Springs Saddlery). A few years later, St. Finnbarr changed ownership. Kathy and Manuel were asked to come back to operate it. Together they managed St. Finnbarr Farm until Kathy bought her first 16 acres of what is now Crystal Springs Ranch & Saddlery covering 380 acres. Kathy has owned and operated Crystal Springs Ranch & Saddlery ever since, offering Horse Boarding, Riding School Lessons, and Kids Summer Riding Camp. Years later, Kathy, equipped with the knowledge and experience of starting a complete horse operation from scratch, developed Crystal Springs Ranch West, Thermal, Ca. 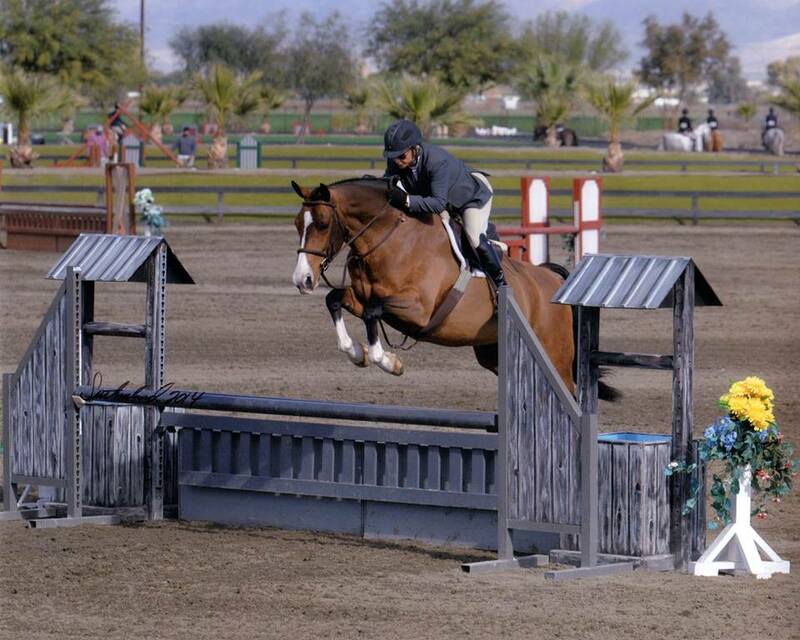 The Equestrian Facility is in the Coachella Valley near Palm Springs. Her California Farm specializes in boarding Show Horses that come from all over the World to compete at the HITS Horse Show Grounds. Kathy and her Show Horses now spend the Summers in Colorado and the Winters in California. Kathy was President for 10 years for The Mountain States Combined Training Association, which has now evolved into Colorado West Hunter Jumper Association. Kathy rode w/ “Colors” as a member of The Roaring Fork Hounds Hunt Club for 20+ years. Kathy has horse shown extensively for the last 40 + years from Coast to Coast and Canada in both Hunter and Jumper disciplines. Kathy won the Amateur Owner Hunter Stake Class at Madison Square Garden with Mark Twain. She qualified for “Indoors” and Capital Challenge with her hunters for many years. Kathy and her horses have been awarded numerous National and Zone 8 Regional and Colorado State Champion and Reserve Championships. Kathy was HITS THERMAL Circuit Adult Hunter Champion for 8 years in a row. 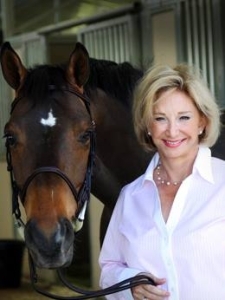 Kathy is an active member of the United States Equestrian Foundation, United States Hunter Jumper Assoc, the Colorado Hunter Jumper Assoc, the Colorado West Hunter Jumper Assoc. and the Roaring Fork Valley Horse Council. Additionally, Kathy is a certified Vaulting Coach with the American Vaulting Association.